Spring has arrived to the City By the Bay with a passion. 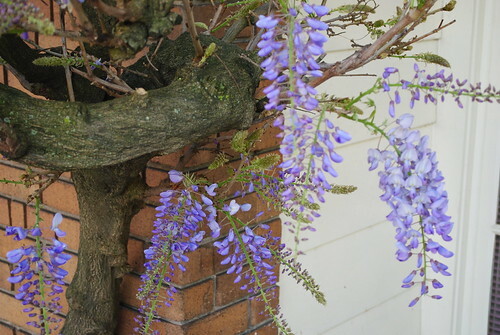 Blooming around tow are trees and flowers. Our weather is always nice for flowers, there are very few times during the year when you will not find any flowers in the city. Knitting More Circles Around Socks: Two at a Time, Toe Up or Cuff Down is a great book that I have used before and it is the best method I have found for toe-ups. I mean I like Cat' Bhordi's Personal Footprints for Insouciant Sock Knitters: Book Two in the New Pathways for Sock Knitters Series , but is more technical . I have made more than two pairs with Antje's Book. 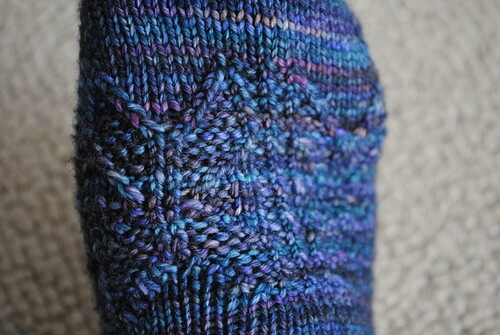 I turned the heel on both socks and I am able to finish the sock the way I want it with the perfect Gusset triangle. 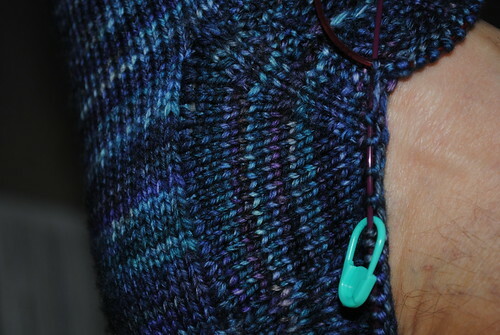 Just being fuzzy I guess, but nothing like a perfect gusset triangle on a pair of socks. This is accomplished following her instructions easily. This is what gives the sock a beautiful termination. I am using the newest Malabrigo Superwash Worsted, and making these socks on size #2 needles , gives me the understanding that they will last me a very long long time. I have modified the pattern a bit, mainly the chart reproduction, as I am not that fancy for socks with lots of charting that are going to be mostly hidden under my shoes. 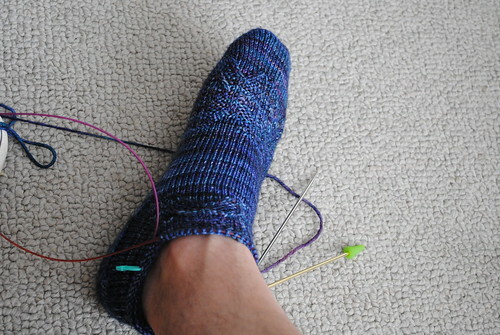 Nevertheless I can tell you that I will work the whole chart, maybe twice on the leg part of the sock and then finish it with a nice ribbing. I have not decided if I am going to follow her ribbing choice or make my own choice. I hope you like the pictures, let me telly you this yarn is to dye for, literally the feeling on my feet from these socks is like silk. Malabrigo has done it again. I have been using Addi Turbos and Addi Turbo Lace, so the knitting is fast and I am able to pick uo the yarn without problems. I am hoping to have this finish by the end of the week, thanks for stopping by.